Hey quick question! When i go into warehouse, it doesn't give me the option to tick ShowInUI and it doesnt have the edit items next to tags? Lexy did you click CASPart first? i have a problem here, after edited the clothes meshes and import em to the game, i noticed that the new one always have a brighter neck's color than the original. i think that's not a shadow, because i tried to export the EA meshes and re-import em back without any changes but it's still there. does anyone know how to fix this? 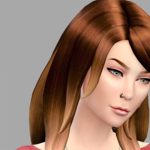 i'm using Sims4Studio v2.3.0.2 Flora. Another question.. 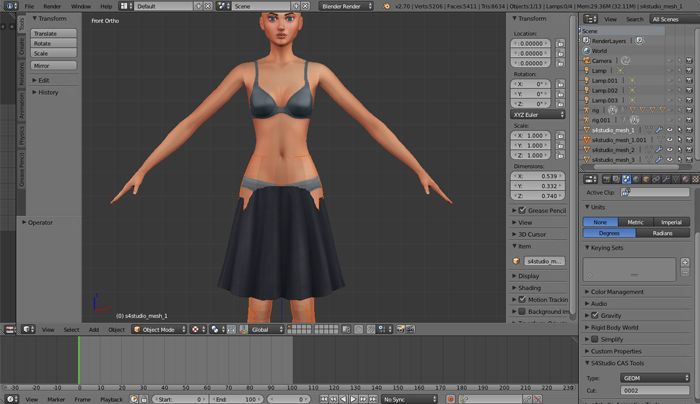 When i try to import the mesh into s4s, it acts like its cropped, but then there is the piece of shirt below it. Help? It's an issue that's being looked into. Right now, that's the best you're going to get unfortunately. Can I see a picture or your .package file? Does the piece of shirt look skintight? That would be a texture issue. very hope that it'll be fixed soon. but beside that issue i always love this tools than any other tools out there, it's the most powerful tools for TS4, so simple as hell, dude. thanks aaill! Yeah, here is what happens. And yes, it actually is skin tight like you said..
You need to shorten the texture. It's still showing up on the skin because the texture is too long for the shirt's UV map, so it projects onto the skin. You can export the UV map of the cropped shirt from Blender to use as a guide if you want. Or you can just guess the cut off. mrmayhem, the latest version of Studio which just went up about 5 minutes ago will fix the neck seam problem. It is version 2.4.0.5 (Love). WOW! somebody should pay you as well for ur great n fast working. BIG Thanks!!! !